Debbie Brown, owner of Bouquets of Sunshine. Giving flowers to someone special, on any occasion, is one of the best ways to let that person know you’re thinking of them. A good florist can make life much easier by helping you choose the perfect floral bouquet. With the rise of online delivery florists it’s easy to forget that a floral shop isn’t just a store, it’s an experience. With the vast array of bright, beautiful colors and delightful smells, a visit to the florist is sure to put a smile on your face. Local residents are in luck that there is such a shop right on Third Street in Marysville. 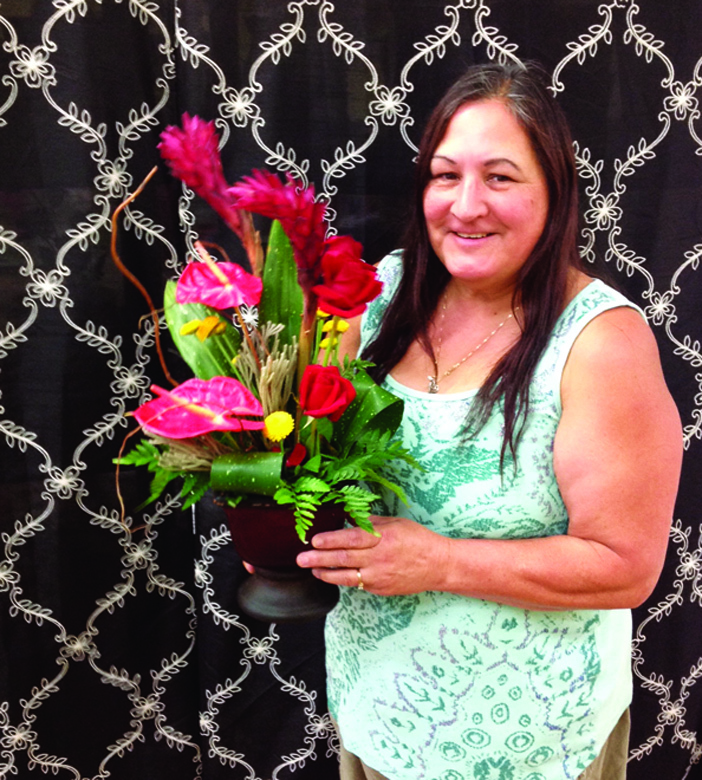 Owned by Tulalip Tribal member, Debbie Brown, along with her business partner, Shonta, Bouquets of Sunshine makes choosing creative floral bouquets an adventure in art, design, history and fun. From what flowers are best suited for certain occasions or seasons, to classic flowers or modern designs, Bouquets of Sunshine has it all. An added benefit to shopping for flowers at a shop, versus the local street carts or grocery stores is that flowers are perishable, and shops carry the freshest blooms and can teach you how to treat them for longer lasting enjoyment. Flowers sold in open markets are susceptible to damage from temperature changes and attacks from bacteria and mold. And during holidays when flowers are in high demand, you can place an order ahead of time and beat the rush. Debbie talks with Tulalip News and explains a bit about what led her to the floral industry and how she ties Native American culture into her designs. 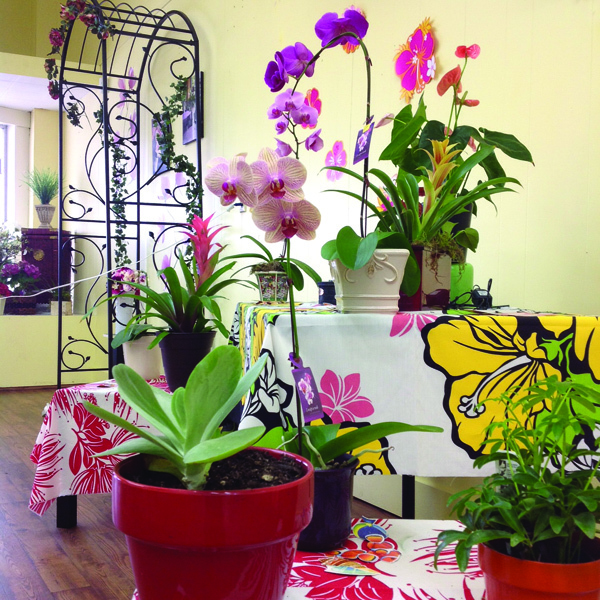 Bouquets of Sunshine’s current specialty is tropical plants and orchids. You’ve spent years working in tribal leadership, what prompted you to open a floral business? Working 20 years at the Tribe, I achieved executive level. My last job was C.O.O of the Tulalip Casino. I always wanted a flower shop; I guess it was my dream job. I love delivering flowers the joy is indescribable. I’ve had my own floral business for 15 years, this September, and was ready to expand. We opened our doors on Third Street on June 15th. What are some of the challenges in the floral industry? Definitely 1-800 numbers and places like that where you can order flowers on the Internet. For me, right now, the challenge is getting the word out that my shop is here. But we are a member of FTD.com and Bloomnet.net so you can send flowers across the country. Please visit our website at www.bouquetsofsunshine.com. Where do you look for your inspiration and do you incorporate traditional Native plants into your designs? I am continually challenged by all the beautiful work I see others do. I have created specialty items for funerals, graduations and weddings. And my husband Howard does work on the design forms I use. As far as Native plants, I use Sword fern, huckleberry and salal. So far, what is your career highlight as a florist? I think for my current career as a floral designer, initially it was graduating from Seattle Floral Design School. I discovered a talent I didn’t know I had. Sometimes I’m designing a floral arrangement and thinking about the person I’m designing it for and voilà it’s finished and oh so beautiful. A lot of times I look at it and can’t believe I even created it. What is your favorite flower and favorite flower combo? My favorite flower used to be a Stargazer lily, but now I’m allergic to them! I think a colorful arrangement is the best expression of how someone feels that day; cheerful is always good! Our specialty right now is plants, especially tropical, orchids and anthuriums. Do you have suggestion/tips for what types of bouquets to send for certain situations? Definitely roses for an anniversary, the more the better, and always in her favorite color. For weddings, definitely come here, I›m less expensive than anyone else. Often you can›t even do it yourself for what I can make them for. I love to stay at the ceremony too so that I can see that everything is perfect for the bride to walk down the aisle. Funeral arrangements are always a hard part of loss. Tulalip does a great job expressing their love and support through flowers. I can bring my flower books to the family›s home or meet them at the Funeral home. Now I’m just a few blocks away from Schaeffer Shipman. I try to take into consideration the family›s choice of flowers and colors and coordinate all other orders with what the family has ordered. Thank you and other arrangements are generally a very affordable $15 to $35. Besides walk-ins, what is the best way to place an order with Bouquets of Sunshine? Most of my orders come through phone calls or emails. I am available by also text at 425-501-5406. You can visit our website at www.BouquetsofSunshine.com and like us on Facebook. 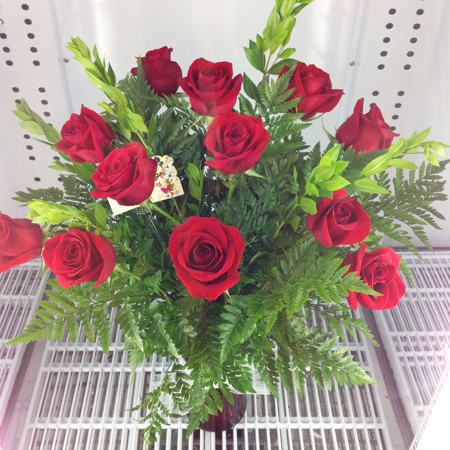 We have lots of choices to help you find the right flowers for any occasion. I’m open 9:30 a.m. to 5:30 p.m. Monday – Friday and Saturday 10 a.m. to 3:00 p.m. My shop is located at 1512 3rd Street, at the same place Marysville Floral was previously, just down from Hilton Pharmacy. The shop number is 360-716-2626. I’m also the first business uptown to use Salish networks phone service. This entry was posted in Home & Garden, Local News, Tulalip News and tagged Bouquets of Sunshine, florist, MARYSVILLE, Tulalip Tribe by Kim Kalliber. Bookmark the permalink.